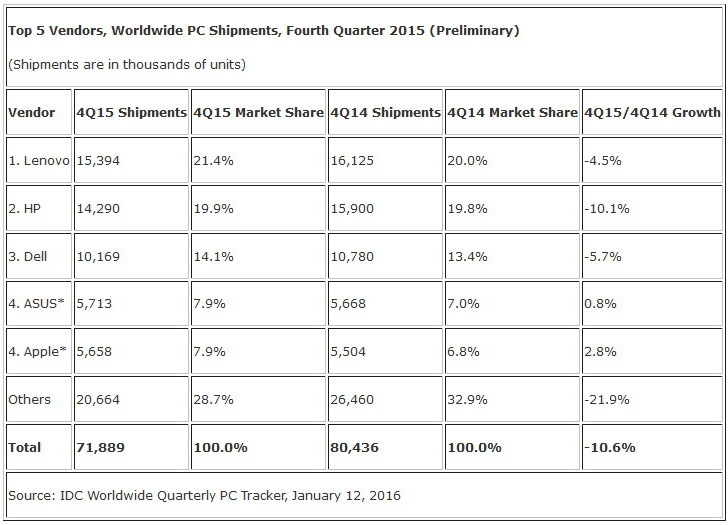 According to Gartner and IDC, the global PC market saw sharp declines across all top manufacturers except for the Cupertino company. 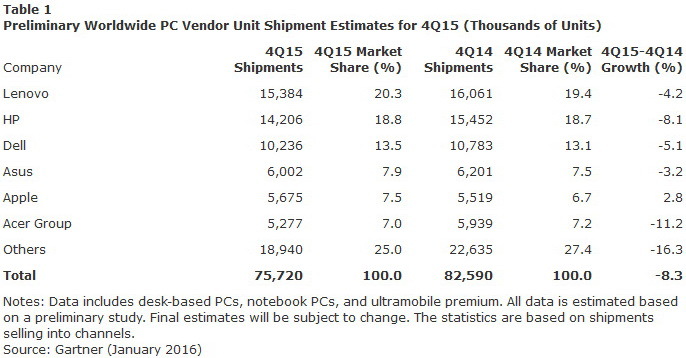 Market analysts from Gartner have reported a drop in global PC shipments of 8.3 percent from 82.59 million units in Q4 2014 to 75.72 million units in Q4 2015. IDC recorded a drop of 10.6 percent during the same time frame according to its own sources from 80.44 million to 71.89 million. 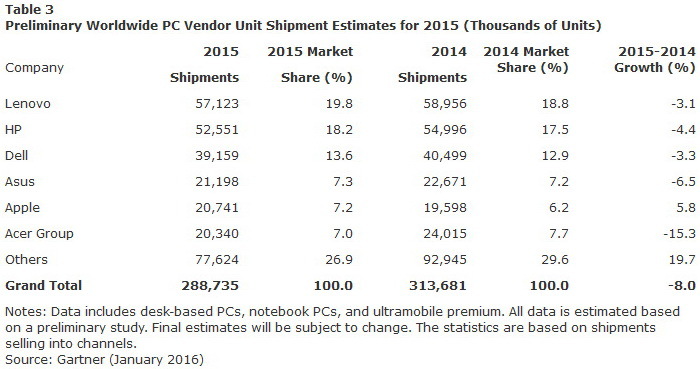 In total, the PC market shrank 8 percent from 313.68 million units in 2014 to 288.73 million units in 2015 according to Gartner. 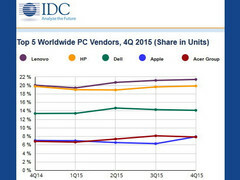 IDC is reporting a drop of 10.4 percent from 308.36 million units to 276.22 million units during the same time period. 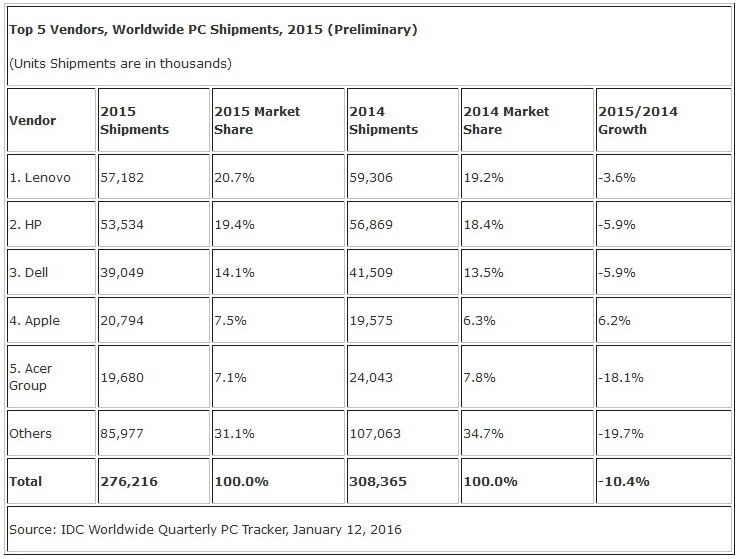 Acer, the world's second largest PC maker, was hit particularly hard last year in terms of shipments. The Taiwanese manufacturer experienced a slump of 15.3 percent and 18.1 percent according to Gartner and IDC, respectively. 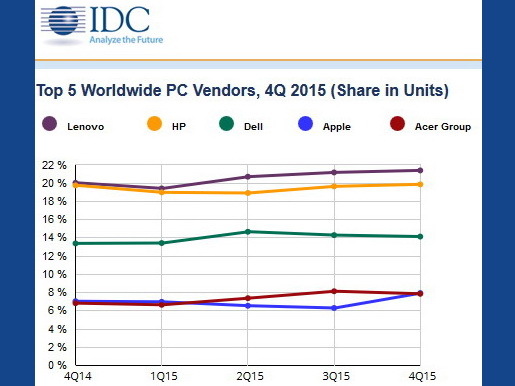 Lenovo, HP, Dell, and Asus also faced declines YoY. 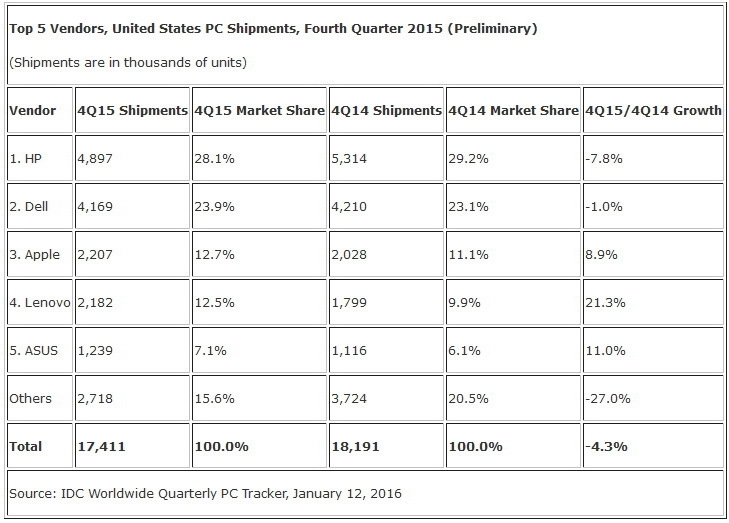 Apple, however, was on a slight upswing in contrast to its competition as of Q4 2015. Gartner recorded an increase in Mac shipments from 19.6 million to 20.74 million for a rise of 5.8 percent while IDC claims a slightly larger rise from 19.57 million units to 20.79 million units for a growth of 6.2 percent during the same time frame. 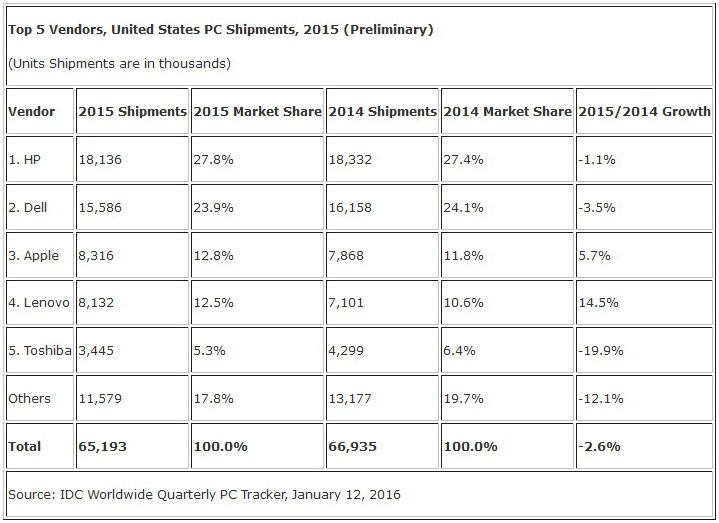 Both firms are expecting major manufacturers like Lenovo to increase shipment numbers this year.